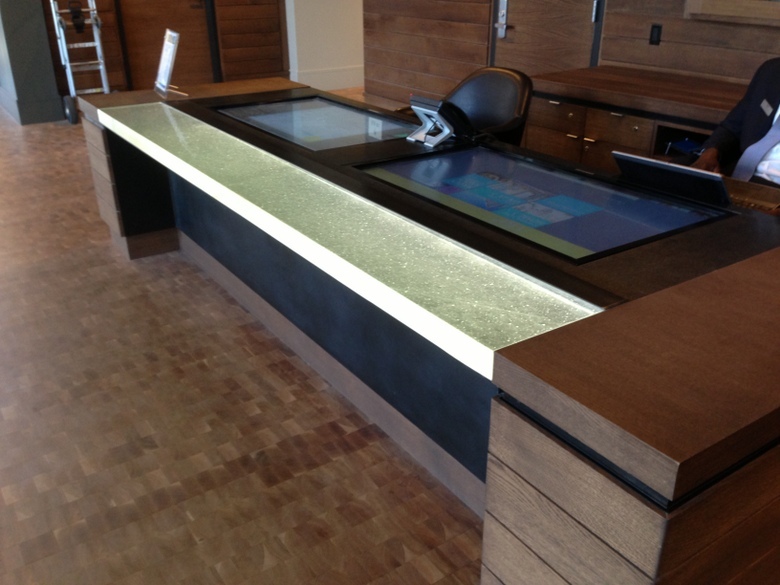 Lucas Design Associates contacted me to fabricate a custom fire feature they had designed for a residence. This was fabricated from a 6" diameter x 144" length stainless steel pipe that I squashed down to a 66" length. Once that was done I applied a blackened patina. I wanted to show some process shots from my most recent cast glass coffee table fabrication (design by other). The final glass size was 60" diameter x 3" thick. Loading 800 lbs of glass into the 60" diameter mold. We inspect and sort the glass by hand before loading it into the kiln. 800 lbs of molten glass at 1500 degrees. Fitting parts of the rolled steel legs to the bottom of the table base. Scribe to cut out the center of the steel table base. The center part of the steel table base was cut from a 60" diameter steel hemisphere. Tacking the center piece to the legs before final welding takes place. Grinding down the welds for a seamless look. Checking the glass fit one last time before the final metal work takes place. Here are some pictures of a custom kiln cast green tint glass and heat textured steel coffee table I made for Lucas Design Associates, www.lucasinterior.com. The table legs and edges of the table base are hand forged. Overall dimensions of the coffee table are 54"L x 48"W x 16"H.
I was again commissioned by Lucas Design Associates, www.lucasinteriors.com, to create this sculpture for one of their clients. It is a custom colored cast glass vessel with a blackened steel base. 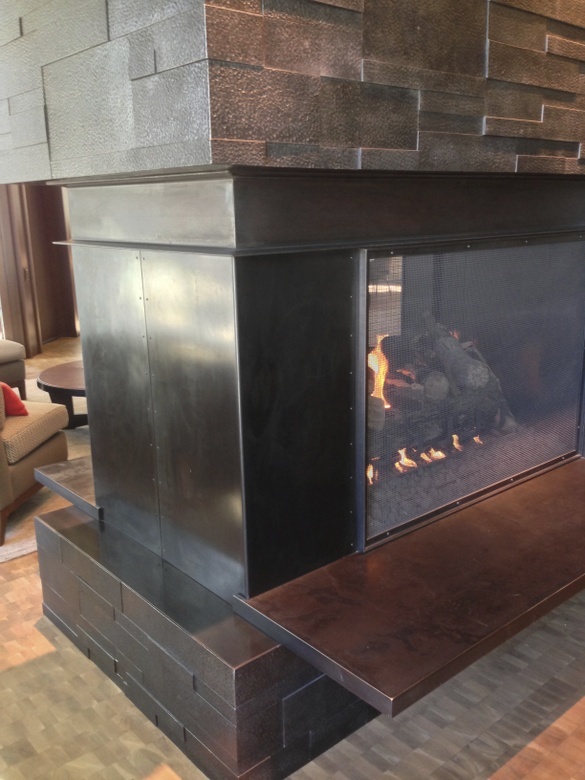 Here are pictures of a steel fireplace package I was commissioned to create for a local residence through Lucas Design Associates, www.lucasinterior.com. The work began with a fireplace surround and grew from there to include a self-designed screen and set of tools. The surround is heat textured and forged, while the screen and tools are hand forged. I was commissioned by Lucas Design Associates, www.lucasinterior.com, to forge a sculptural representation of a wall, to scale, as a memento for one of their projects. Looking back on some of my 2013 projects. 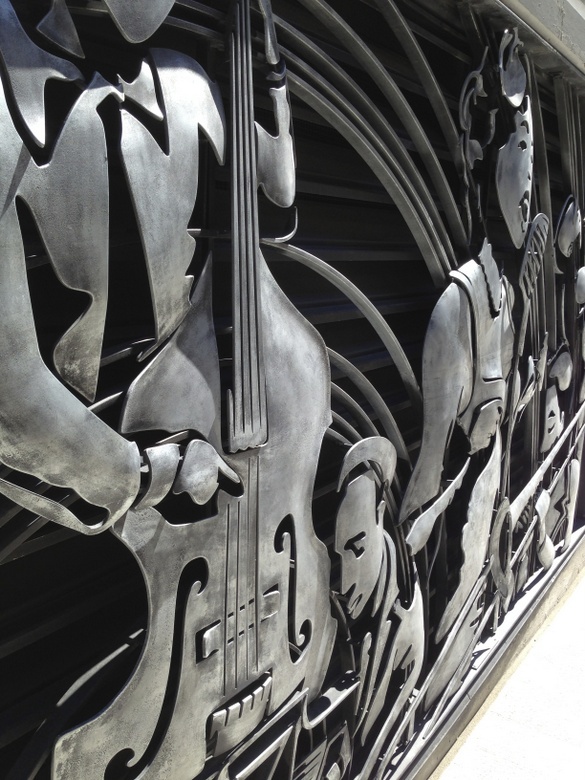 Below is a gallery of the work I was commissioned to create for the Via6 building downtown. Via6 is located on the corner of 6th and Lenora in downtown Seattle. Wanted to share a few photos of the urn that I have designed and fabricated for the upcoming exhibit "The Metalsmith and the Urn" at Lundgren Monuments in Seattle. Fabricated from stainless and carbon steel, the urn also functions as a flower vase. Below are a few process photos from the fabrication. I wanted to let you all know about a show I have helped curate and will take part in this Fall at Lundgren Monuments in Seattle, WA. We continue our exploration of craft and design with a new focus on the Metalsmith approaching the urn as sculptural object. 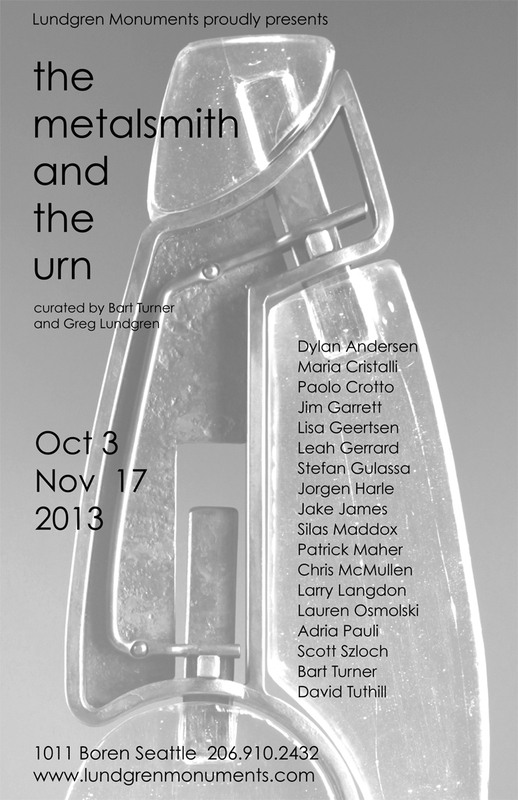 This promises to be an exciting, inventive exploration of the cremation urn featuring some of the Pacific Northwest's master craftspeople. Exhibited in our downtown boutique, it is a dizzying display of what an urn could be, fostering conversation and imagination, and broadening our design communities participation and understanding the role of art in our lives and our death. Reception, October 3rd, 5:00 to 8:00 pm.